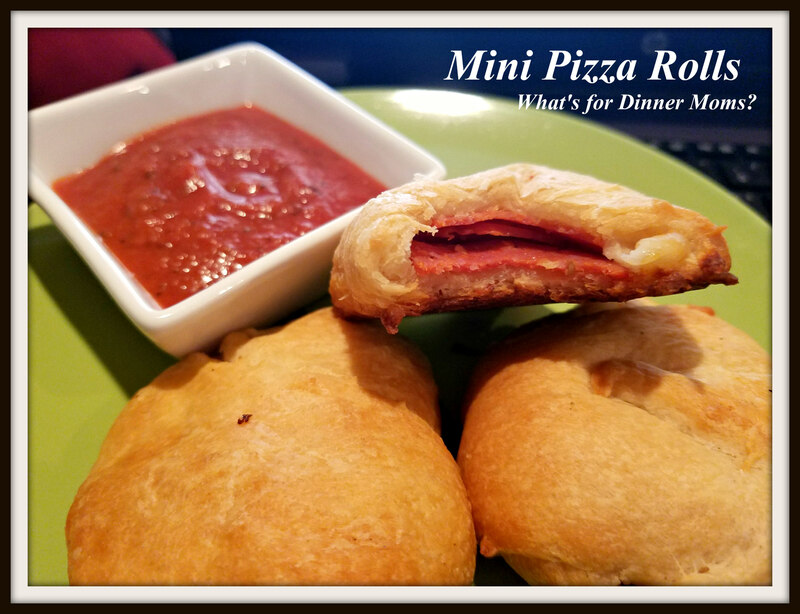 Mini Pizza Rolls – What's for Dinner Moms? After a weekend that was overflowing with lots of great stuff I didn’t have a chance to get a post together for yesterday. My son was part of the Michigan State Science Olympiad competition this past weekend. He finished 6th in Microbe Mission and 8th in Optics. He was thrilled and a little puzzled as those were the two events he thought he didn’t do well in. Then we celebrated his birthday with a little family gathering and an outing to see Infinity Wars before he went back to school and had the movie possibly spoiled for him. Busy, busy, busy. We all are. It is difficult to pull meals together sometimes so I like having these little fall back ideas in my fridge or pantry. My family loves little snack meals sometimes and these past few days were a perfect time for these. I always keep a roll or two of croissant type rolls and biscuit type rolls in my refrigerator for these simple sandwich meals. These are also great if you are having a bunch of kids or teens gathering at your house. They can be made in large batches and served quickly for those unexpected drop in moments. They are super simple to make and my family liked that they could each customize their own rolls. Plain cheese or pepperoni for the base and then add your favorite toppings – olives, onions, mushrooms, Italian sausage…. This is all up to you and what your family likes. Almost every recipe I have seen for these use cheese sticks as the filler. I have found we prefer the shredded Mozzarella cheese to the cheese sticks because the cheese sticks do not melt as well and I don’t get the ooey, gooey, cheese that I like with pizza. The choice is yours which to use. Preheat oven to 375 degrees. Prepare a baking sheet by placing a sheet of parchment paper over the tray. Spread the croissant dough out in triangles on the tray. Layer the pepperoni and cheese on the top (widest part) of the triangle. Sprinkle with your choice of fillings. Roll up and seal all edges so the filings don’t leak out! Bake for 9-11 minutes until rolls are firm. Remove from oven and allow to rest for 2-3 minutes before serving. Serve with dipping sauce if desired. I imagine these are good for freezing as well? You know we often need to pull them out and have them ready at a moment’s notice! Lol. Yes! We like them best warmed in the oven not the microwave. Congratulations on this special event and how well your son did! Yes! We love pizza flavored anything! Oh, that’s a great appetizer recipe. 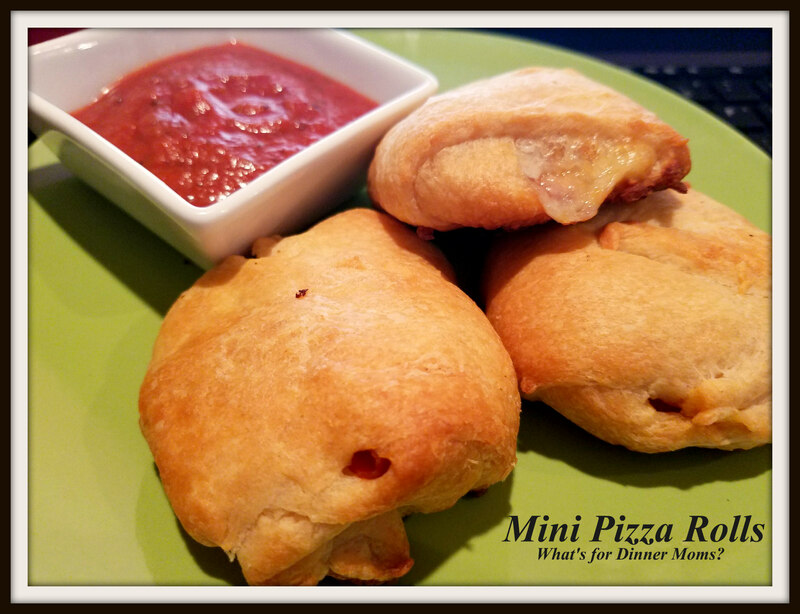 Kind of mini calzones. Definitely gonna try these ones out. They look super delicious. These look easy and fun to make, Marci. Thank you! We love hand meals where we don’t have to use utensils.